The easiest and quickest way to get your Mac fixed is to book an appointment below. Just choose a time and date to suit you, tell me a few details, and you're all done. 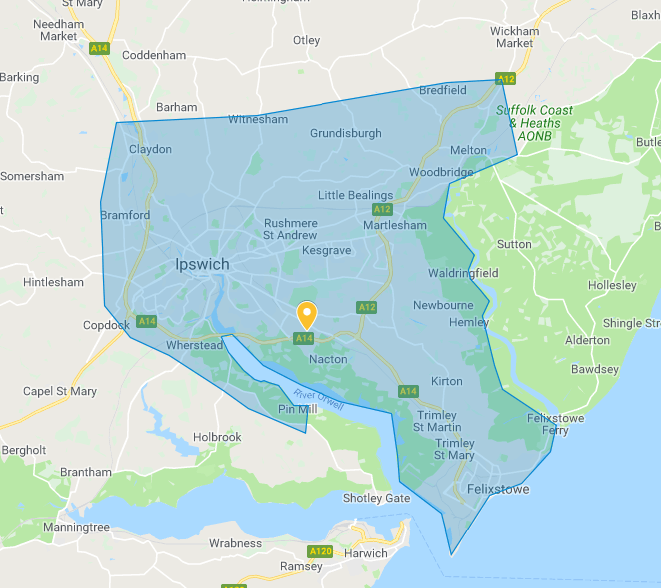 You can drop your Mac off in Ipswich or I can come to you within the shaded areas on the map. If you prefer, or just have an enquiry, you can send a message using the form further down the page. The yellow marker is where I can meet you if you would like to drop your Mac off. Please make an appointment below if that is your preference. Outside of these hours it's best to send a message using the form on this page. Or if you would like to book an appointment, please use the booking form. By prior arrangement you can drop off your Mac in Ipswich. This can be booked in the normal way using the booking form above. You'll find me in reception at Basepoint Business Centre in Ipswich.